Armed Citizens or Defenseless Subjects: Gun Laws in the U.S. Recently the U.S. Supreme Court used the 14th Amendment to painstakingly create a new right based upon individual behavioral choice and redefined the meaning of marriage. Yet we have the liberal progressive left who believes that a long-established individual right — the Second Amendment — should not be a right, says Allen B. West, president and CEO of the National Center for Policy Analysis. President Obama doesn’t seem to understand that we do not need him to develop a policy of “gun safety laws” — guns already have safeties on them. 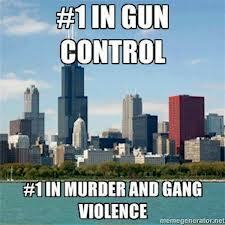 If you examine the gun violence in Chicago or Baltimore you will find that they have the most stringent of gun control laws on the books. The sad incidents in Lafayette, Louisiana or Aurora, Colorado were not caused by guns. They were the result of individuals who raised serious, unattended red flags, just like the shooter in Sandy Hook. At a time when we are facing grave threats to liberty we must reject the notion of making America defenseless. – Our borders are unsecured. – We have sanctuary cities providing free operating zones for criminal illegal immigrants being released by our government. – We have the domestic threat of militant Islamic jihadists. – We are decimating our U.S. military capacity and capability. The reason why Americans stood at Lexington Green and Concord Bridge: A tyrant wanted gun control — the answer was the “shot heard ’round the world.” The lesson to be learned from American history is that you can push law-abiding people only so far.